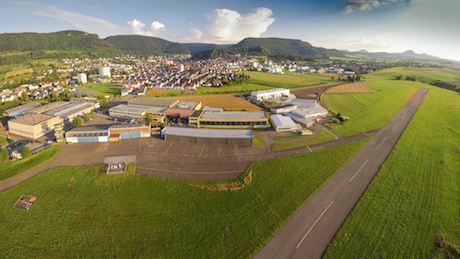 Heubach Airport is your general aviation access to Stuttgart. Located to the east of Baden-Württemberg's capital and conveniently connected to the federal highway and train system, Heubach provides all the services you would expect from a general aviation airport. Open seven days a week throughout the year and with services such as fuel (AVGAS, Jet A-1, Mogas), aircraft maintenance, flight school and dining, Heubach welcomes all kinds of general aviation. Heubach is an international port of entry for flights from Schengen and abroad (2 hours on request; EU only). Updated: All prices are including VAT and subject to availability and change without prior notice.